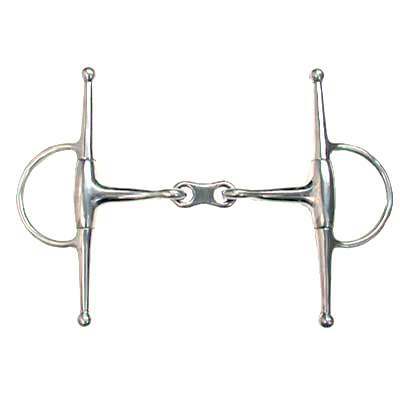 Your Horse deserves only the best French Link Full Cheek Bit. We are confident that the Full Cheek Bits we have available are sure to satisfy you. This bit also gives lateral control and measures 2.25'' x 1.5'' rings, 14mm mouth and 6'' cheeks. This item is also made of top quality materials that will last a lifetime. When buying a Horse Bit from us rest assured you will be purchasing a high quality product.